2. 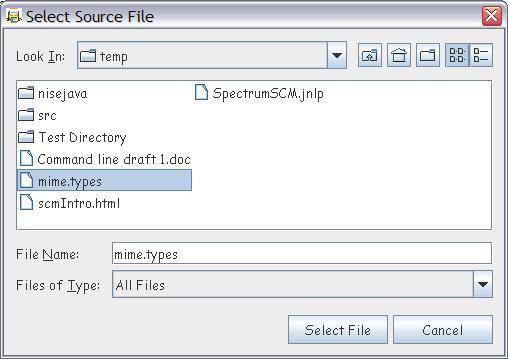 The file type is automatically determined by examining the contents of the file. You can override the decision made by the system by manually selecting one of the file type radio buttons Text or Binary. NOTE: - If there are any characters outside of the normal ASCII range of printable characters, then the file type is assumed to be Binary. 5. 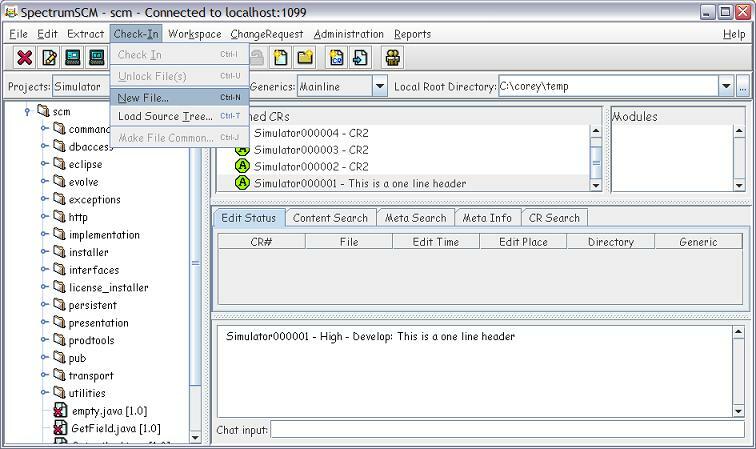 The Target details will be filled in based on the Local Root Directory and the path to the file selected. 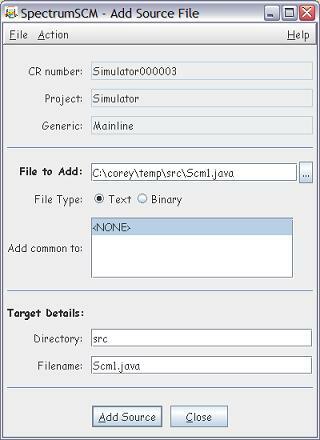 Click on Add Source and the file will be added to the specified project and generic(s). 7. 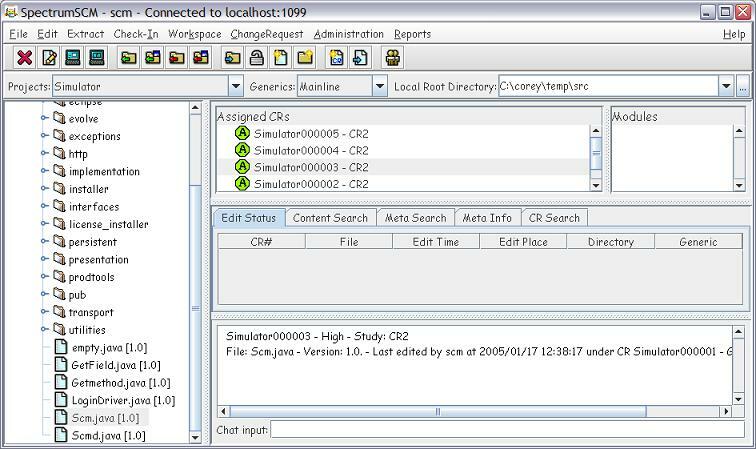 The new source file will be added to the tree.